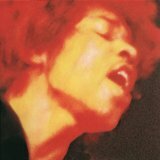 Electric Ladyland is ranked 2nd best out of 18 albums by The Jimi Hendrix Experience on BestEverAlbums.com. The best album by The Jimi Hendrix Experience is Are You Experienced which is ranked number 30 in the list of all-time albums with a total rank score of 55,416. Members who like this album also like: The Dark Side Of The Moon by Pink Floyd, Are You Experienced by The Jimi Hendrix Experience and Revolver by The Beatles. Related links: top tracks by The Jimi Hendrix Experiencetop tracks of the 1960s, top tracks of 1968. Showing latest 5 ratings for this album. | Show all 1,559 ratings for this album. Brilliant masterpiece by Jimi Hendrix. 1983 is a perfect psychedelic musical piece that melds psychedelia and hard rock in a perfect mixture of sounds and electricity. The rest of the album has a couple classic Hendrix hits and underrated beats that must be heard by all. His finest hour. A beautiful psychedelic journey. 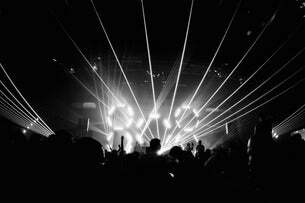 Fantastic tracks that never disappoint. It's been decades since I first heard Voodoo Child and it still resonates today. So does the rest of the album. The ending of this album is unbelievable. Amazing album that got me into the guitar. Open my ears to the power of the guitar. This album is heavy, euphoric and so damn great. 5/5! And this guy mastered a right handed guitar turned upside down and played left handed! Loving these Woodstock artists I am digging deeper into because of this site. "Electric Ladyland" è un capolavoro tale da allargare in un colpo solo i confini del rock e della musica nera, della psichedelia come anche del hard rock allora nascente. Quando la tendenza alla sperimentazione rimane al servizio della forma canzone si ha, per me, il miglior Hendrix di sempre: "Come on", "House burning down", "Voodoo child (slight return)" e soprattutto "All along the watchtower", delle milioni di cover di Dylan la più grande di tutte.